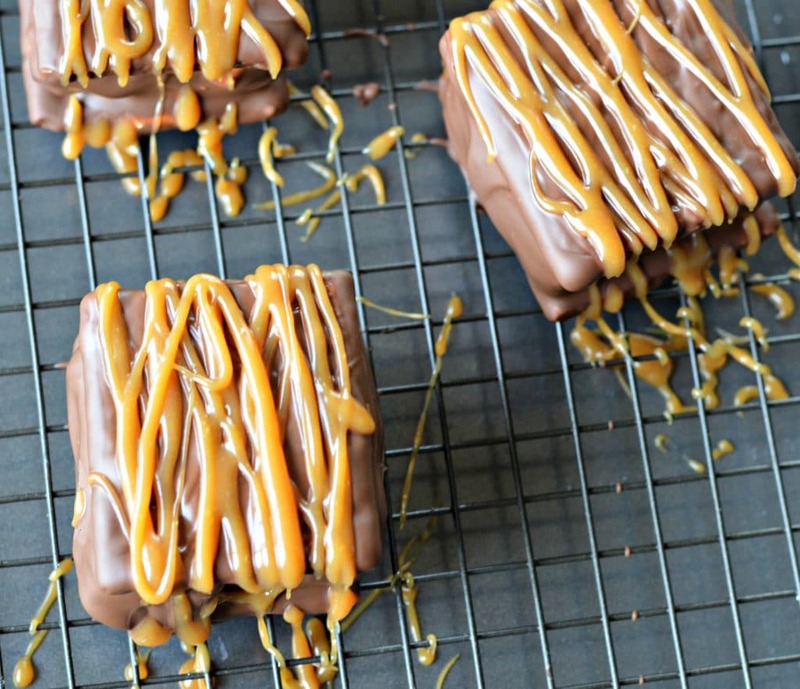 These Caramel S’mores have it all – chocolate, caramel, marshmallow, and graham crackers. Although I definitely recommend the real version that you can get at Karamell-Küche at Epcot in Disney World, if you can’t make it soon, you should definitely try these! Also – there are details below on some great packages from Get Away Today including a discount code. Two years ago my family and I took a trip of a lifetime to Orlando, Florida to visit some good friends and go to Disney World for the first time. 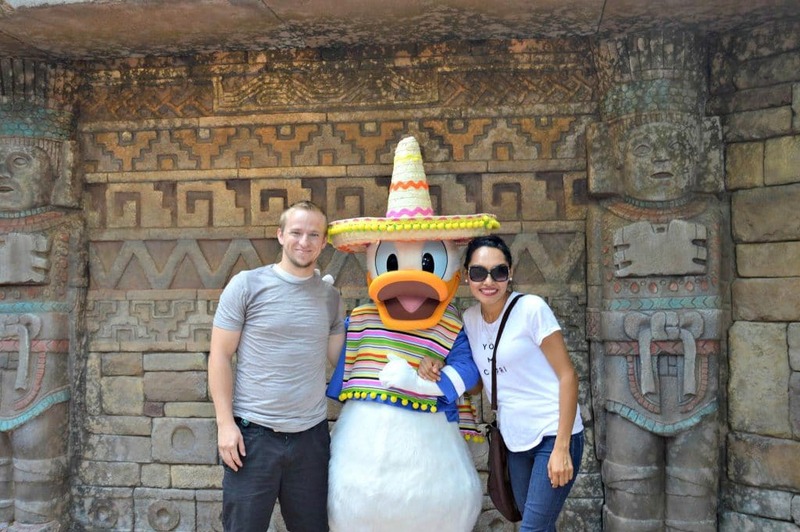 Growing up in Mexico, I always heard about the Disney parks, but when I was younger I never really thought I would get the chance to go. Let me tell you – it definitely lived up to the expectation! We did everything that you can imagine – we had a 4 day, all parks pass and we took advantage of it as much as possible. 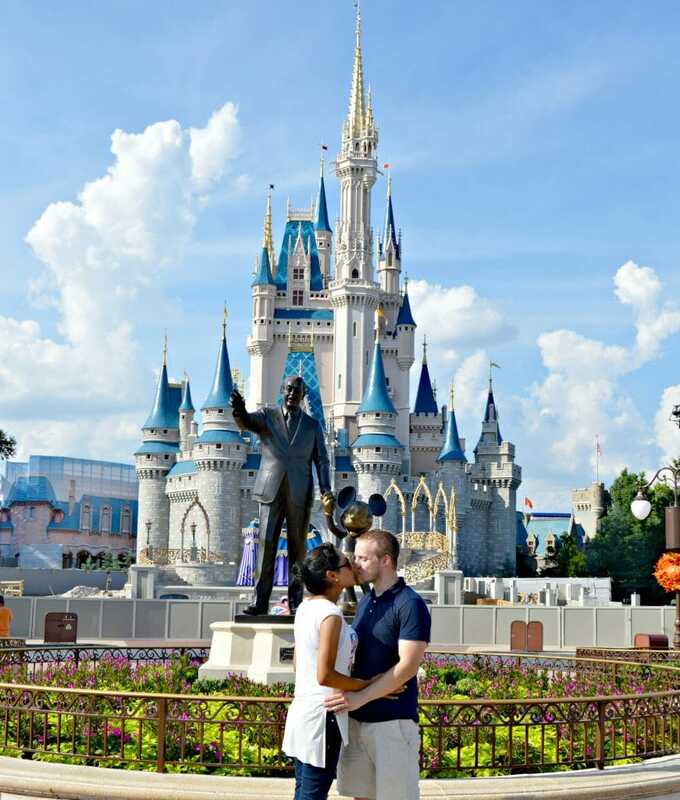 We spent an entire day and early evening at the Magic Kingdom and we loved it. My boys were 5 and 2 at the time, so still pretty small, but they had so much fun and were excited to go back for more. There was one day that the friends that we were staying with told us that they were going to watch all of the kids so my husband and I could go explore the parks by ourselves! It was a great opportunity and we ended up going to Epcot. I didn’t really have any idea what this park was all about until we got there and found out that it has a large lake in the middle that is surrounded by different areas that have themes from around the world. Of course we had to go to the Mexico area, which was really fun! We explored so many different areas and got to experience a small piece of lots of different cultures. I have to say that one of the coolest though was the German pavilion – specifically Karamell-Küche. This place is a caramel lover’s dream! They have every caramel treat that you can think of and they are all amazing. One in particular that we enjoyed was the Caramel S’mores. 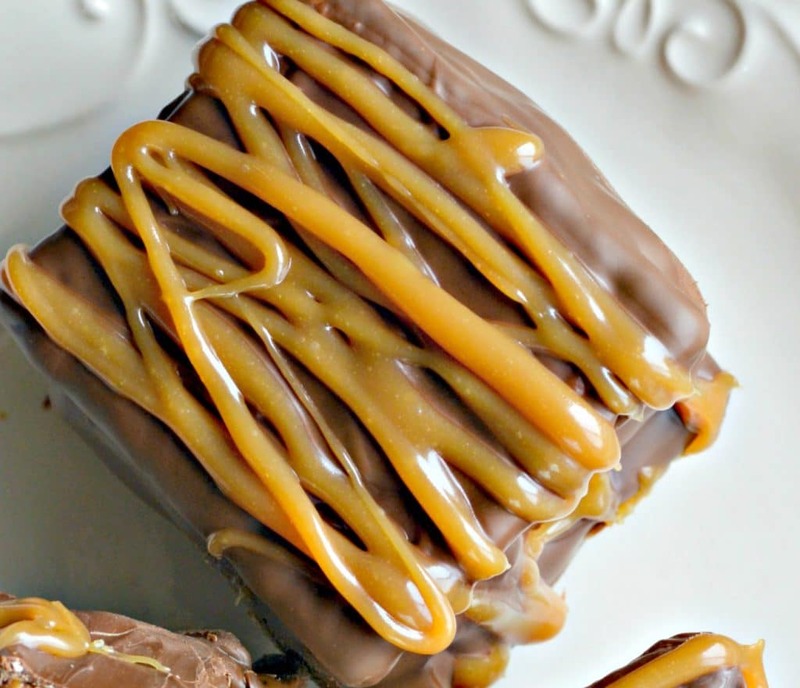 They basically consist of marshmallow, filled with caramel, surrounded by graham crackers, and then covered in chocolate and drizzled with more caramel – now who could resist that! Unfortunately I didn’t get a picture of the caramel s’mores when we were there, but trust me – they are delicious! That treat is the inspiration for the recipe that I am sharing today. 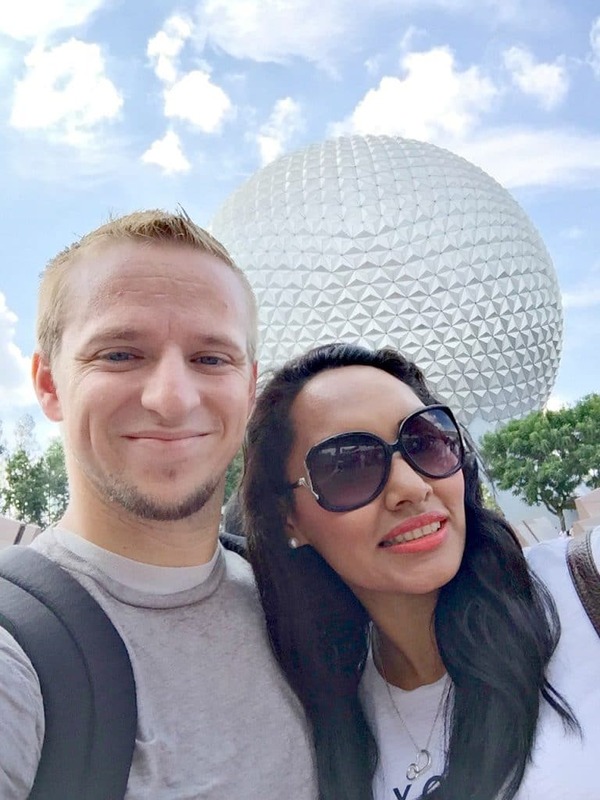 Since it isn’t easy for us to get out to Epcot all the time considering we live on the other side of the country, I thought it would be fun to make my own version – and you won’t believe how easy it is to make! For this version of caramel s’mores I just got some square, s’more style marshmallows, marshmallow cream, graham crackers, soft caramel candies, and some melting chocolate. 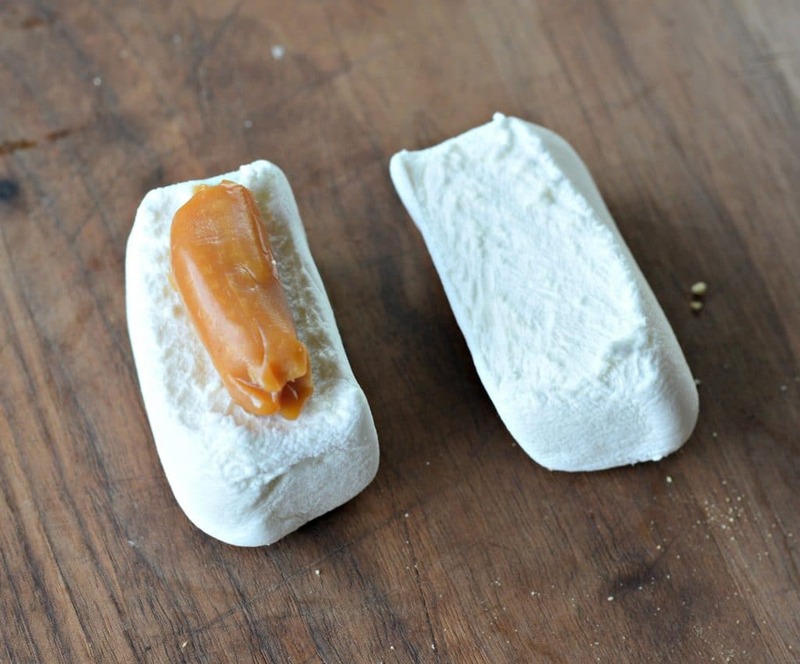 I started by cutting the marshmallows in half, filling them with a piece of the soft caramel candy and then putting it back together. Since there is no roasting of the marshmallows involved, I used marshmallow cream to get the marshmallows to stick to the graham crackers, before dipping them in the melting chocolate and letting them cool off in the refrigerator for a little while. 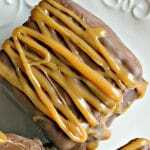 While they are cooling down for about 15-20 minutes in the refrigerator, you can make the caramel sauce by melting about 2 tablespoons of butter over low heat before adding about 10-15 soft caramels. These are the ones that I used and they worked out very well. Then you should add between 1/4 cup and 1/2 cup of heavy whipping cream or half and half and stir until it reaches the consistency that you want. Once the caramel is ready, let it cool for about 5 minutes before transferring to a plastic bag and cutting a hole in the corner. Remove the s’mores from the refrigerator and then drizzle the caramel over the top. 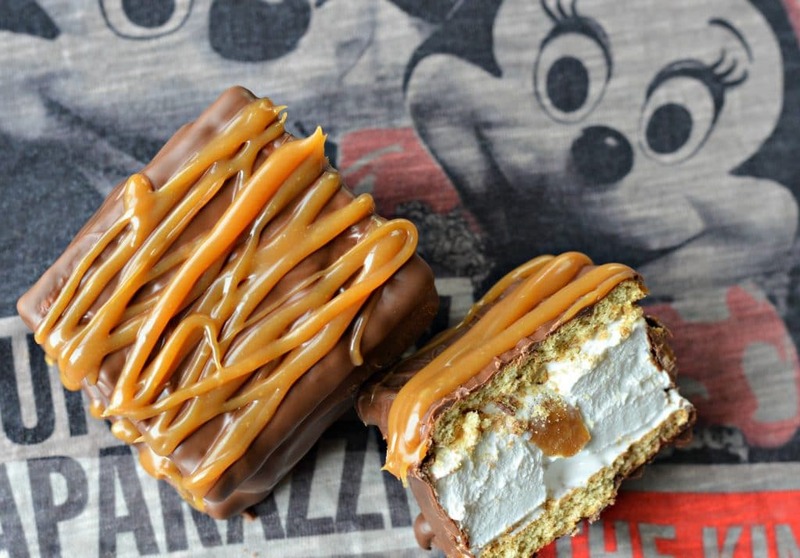 These caramel s’mores turned out absolutely amazing and definitely made us miss our trip to Disney World! 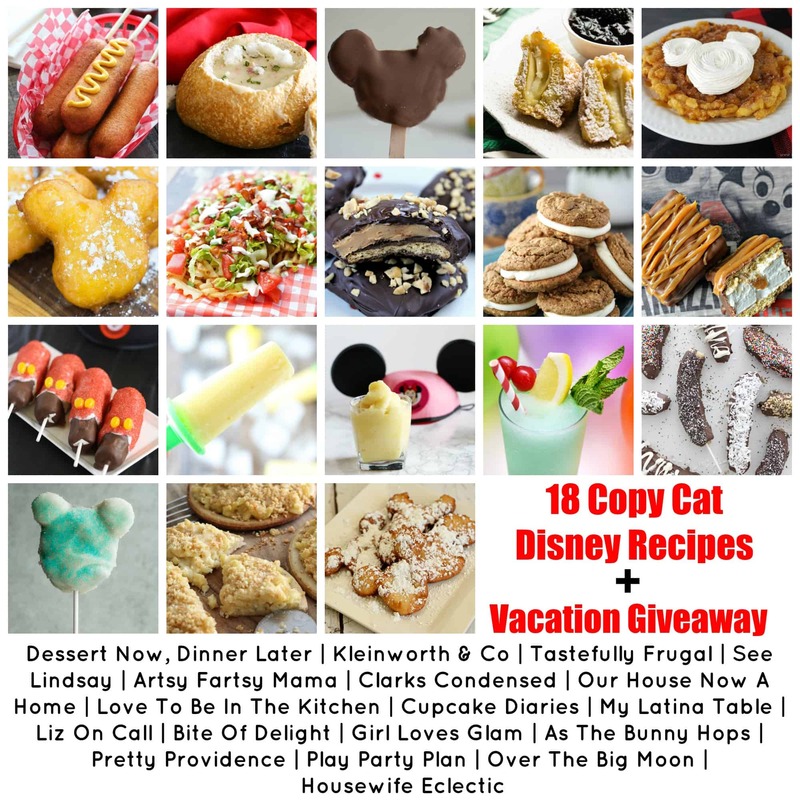 This year we are thinking about heading to Disney Land, and I am sure that we will get to try lots of other great food there as well like the recipes below. Finally, I want to share with each of you how you can get $10.00 off of your vacation package when you book your trip through Get Away Today, I can at least get you $10 off one of their great vacation packages. Just check them out here and use the code “LatinaTable“. 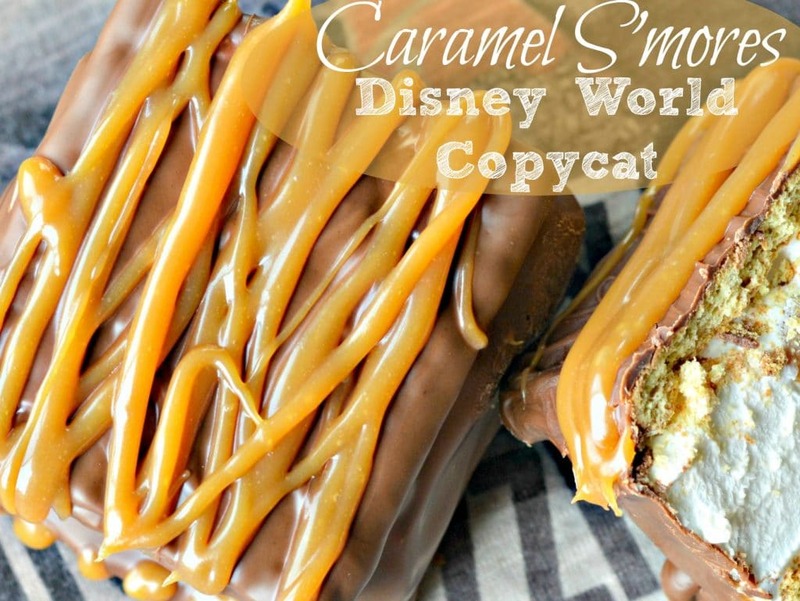 This is a copycat of Disney World's delicious Caramel S'mores treat that you can find at Epcot studios in Orlando. 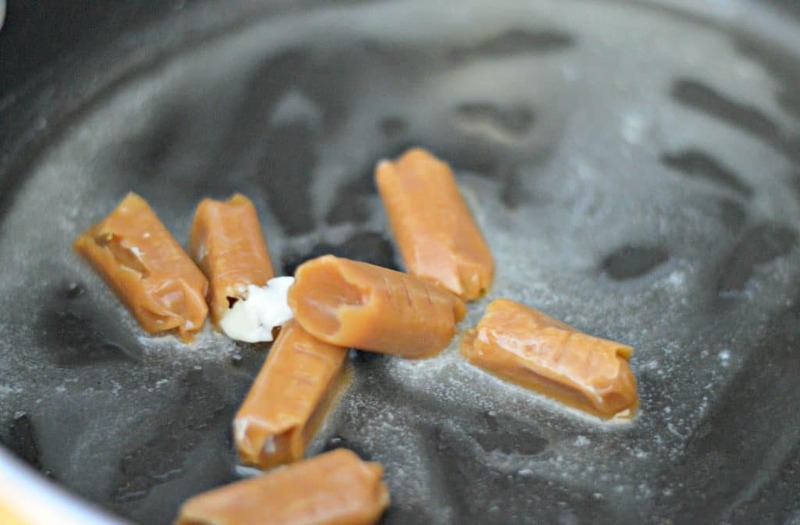 Add a whole soft caramel candy to each and put back together. 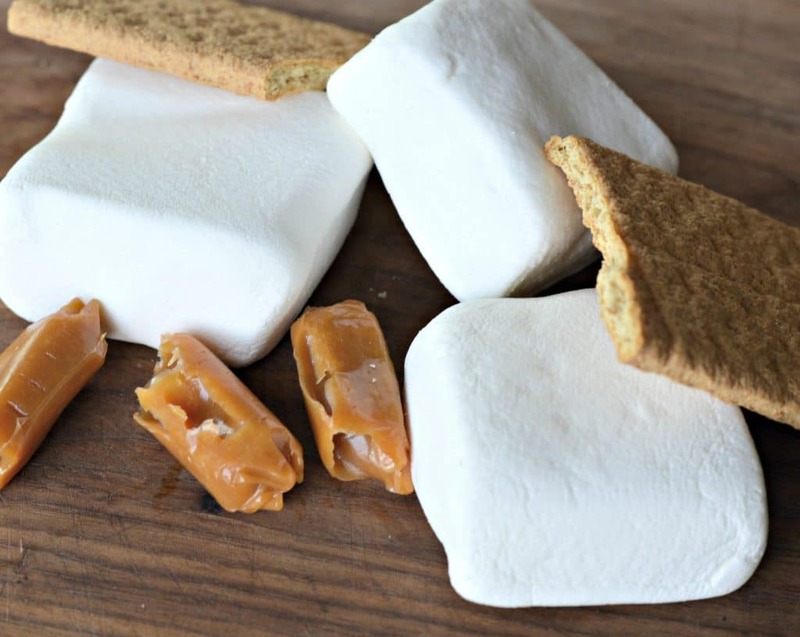 Spread the two graham cracker squares with marshmallow cream and put the marshmallow with the caramel inside in between them. Dip the s'more into the chocolate and cover all of the sides. Let cool in the refrigerator for 15 minutes. 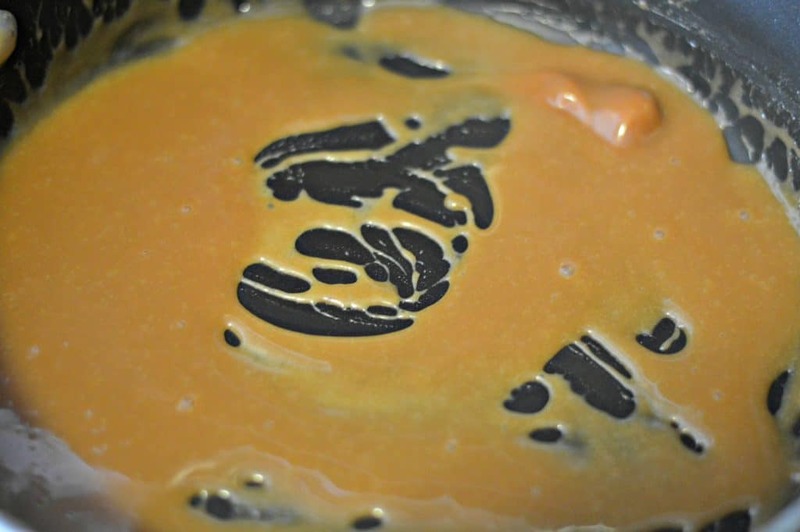 Melt the butter over medium heat and add about 10-15 soft caramel candies (a few at a time) until they begin to melt. Add the half and half or whipping cream a little bit at time and continue stirring until it reaches your desired consistency. Let the caramel sauce cool for about 5-10 minutes and then add to a small plastic bag. Remove the s'mores from the refrigerator. Cut the corner of the bag and drizzle the caramel over the s'mores. Let the caramel sauce cool a bit on top of the s'mores and then serve!